The Friends of WALLY is very excited to join the Michigan By Rail team as the newest Supporting Partner of the Transportation for Michigan (Trans4M) Coalition. Michigan needs a varied and better transportation system. We as a state need to look at transportation with an eye to the future. By working together we can meet that goal. The Friends of WALLY is all in. The Friends of WALLY is a new organization organized to educate the communities of Livingston and Washtenaw counties about the proposed commuter rail service between Howell and Ann Arbor, commonly known as “WALLY”. We started as a group of neighbors in Livingston County who support the establishment of WALLY has grown to include folks from throughout the 27-mile rail corridor in both counties. In joining the Michigan By Rail team, we are looking forward to extending our network to new partners in order to reach more of our neighbors throughout the service area. Additionally we are eager to support related efforts to advance the connectivity and accessibility of our transportation system, as WALLY is one more piece in Michigan’s transportation puzzle. 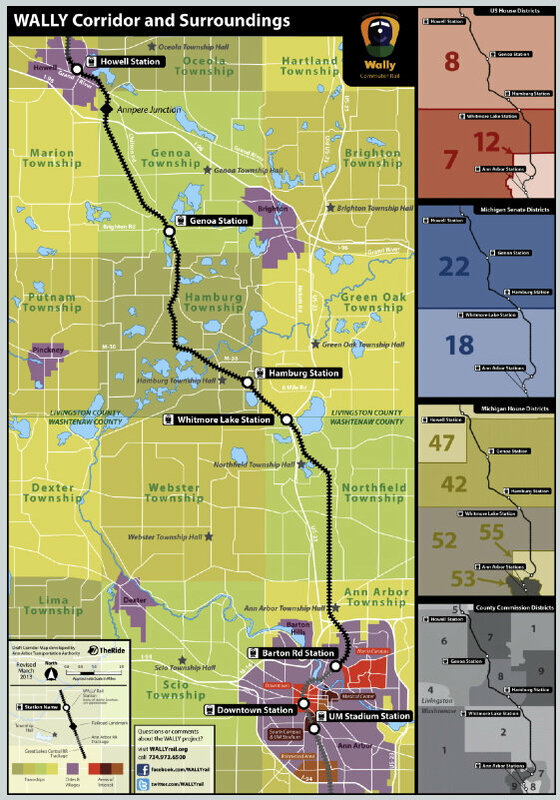 For those unfamiliar with the proposed WALLY commuter rail service, the brief history starts in 2006 when it was put forth as new commute option in the US-23 corridor between Howell and Ann Arbor. Since then the project has been moving through planning phases. 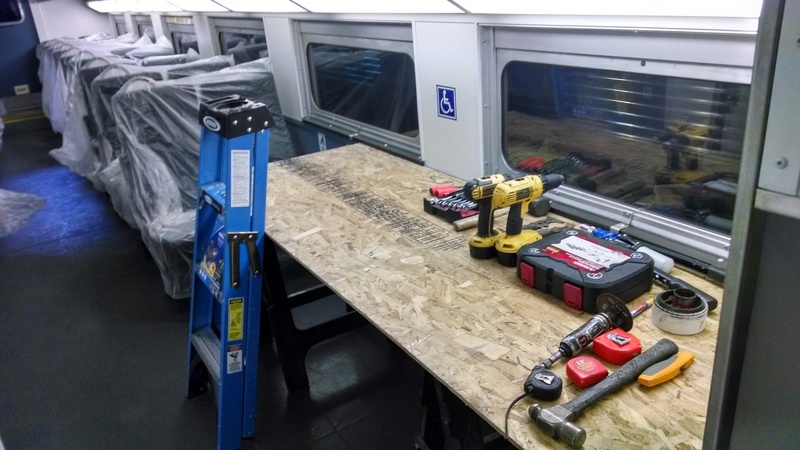 The Michigan Department of Transportation (MDOT) purchased 23 passenger cars from the Chicago Metra. These cars have been refurbished by Great Lakes Central Railroad, a freight rail provider in the corridor. Currently, Great Lakes Central is in the process of installing restrooms and parking for wheelchairs and bicycles on the cars. This year, an operational feasibility study of the rail corridor will be launched to assess exactly what infrastructure improvements will need to be made to the existing tracks to get the service running. The current plan is to have trains running between Howell and Ann Arbor each weekday morning and evening during rush hour travel times. The schedule would be set-up to best meet the needs of commuters. A map of the WALLY line, including potential station sites, can be found online here. If you’re interested in joining the Friends of WALLY, send me an e-mail at friendsofwally@gmail.com and I’ll add you to our e-mail list for upcoming meeting information, volunteer opportunities, and notice of upcoming public planning meetings. Also, be sure to like us on Facebook to keep up with us via social media.